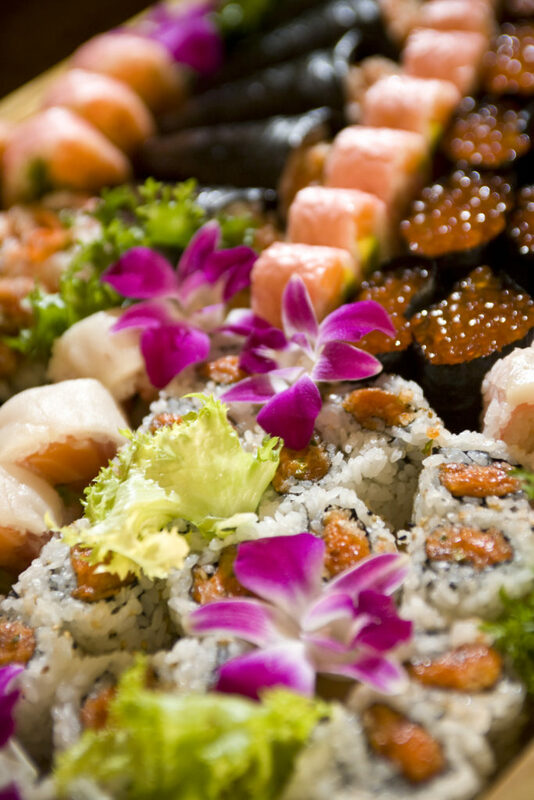 Ask your Venue for Preferred Caterers. 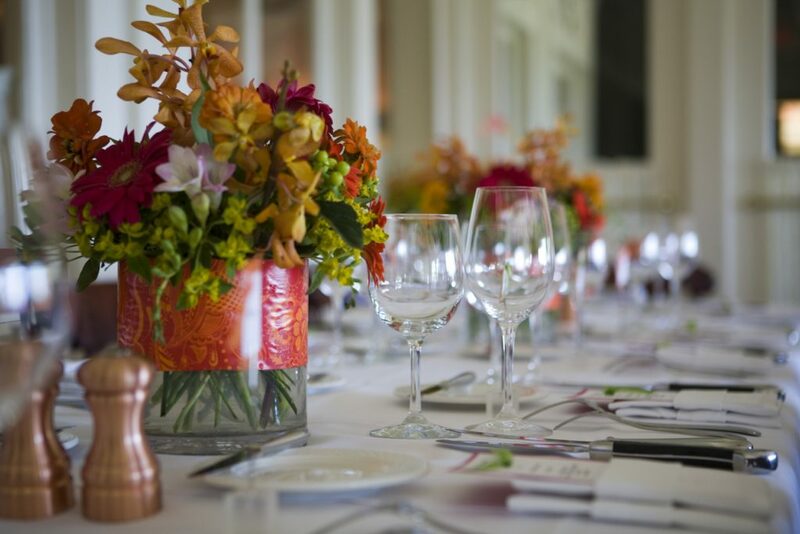 If you’ve chosen your venue, then they are a great place to start for recommendations. They work every week with caterers and know the good ones and the not-so-good. You can rest assured that anyone on their list is a licensed professional. Ask for Recommendations from Friends and Family. Ask around, leverage the power of social media! Many of your friends and family may have attended weddings in the Milwaukee area and have had some memorable meals. Read Online Reviews. What do past bridal couples have to say? What do guests have to say? From the process of hiring through the meal, what experiences did they have? Go to Bridal Shows. 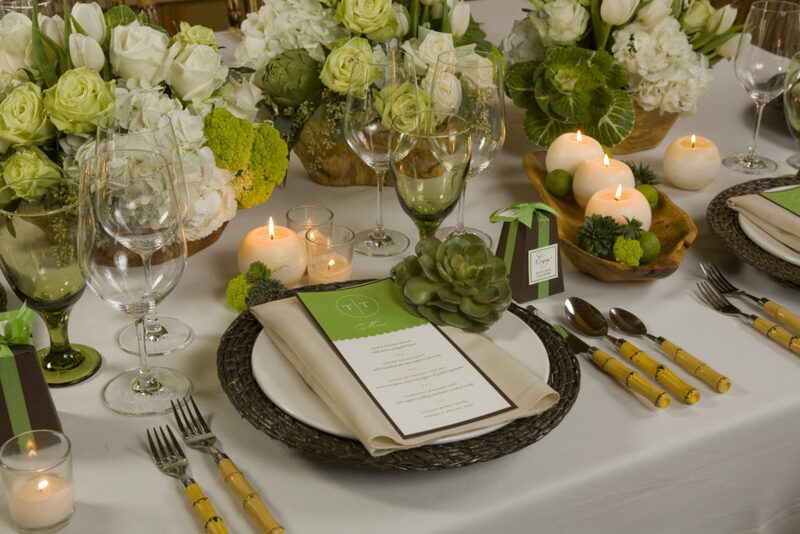 Bridal shows are a great way to see a lot of catering choices in one space. Most have samples to taste, and the advantage of the shows is that you can often have one-on-one conversations with staff members about what they offer. Set a Budget. 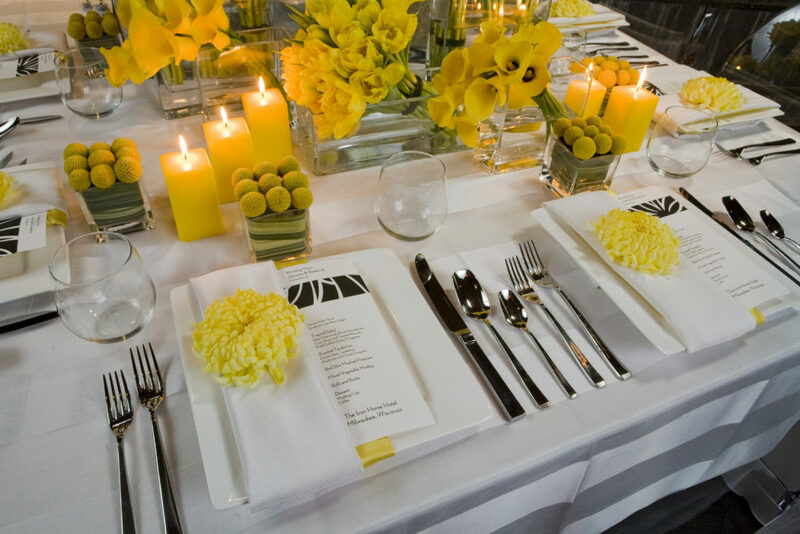 Many caterers are happy to work within a budget, but you need to remember to be flexible. The average in Milwaukee for buffet/family style meals is approximately $25-35 per person, and the average for sit down dinners is $50-85. Caterers will help you stretch your budget if you ask, but you may need to be willing to give up appetizers or cut back on menu choices. Schedule a Tasting. 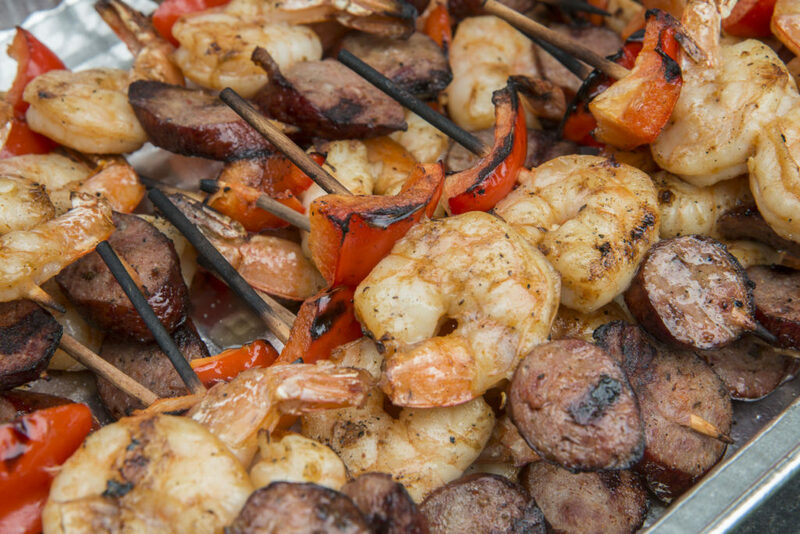 Each caterer has their way of scheduling a chance for you to taste their food and sample from the menu. Some have group tastings; some will have private tastings. There may be a nominal charge to cover costs for this tasting depending on how extensive the menu offerings are. 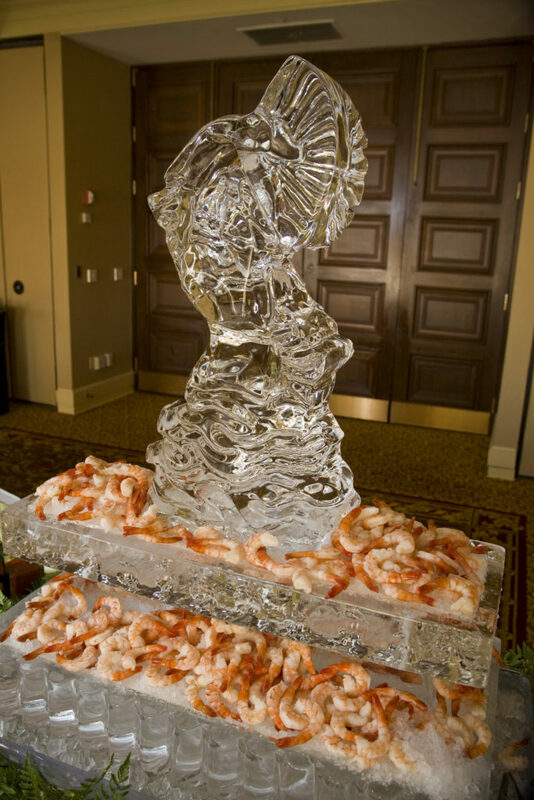 We are always happy to suggest caterers that we have worked with in the Milwaukee area. 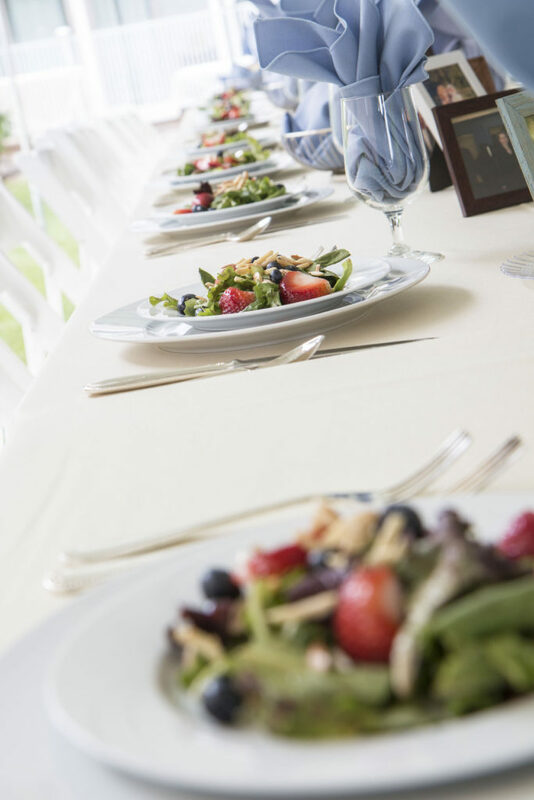 If you are getting married in Milwaukee soon, contact us for our list of preferred caterers or visit our friends at Married in Milwaukee or Premier Bride.